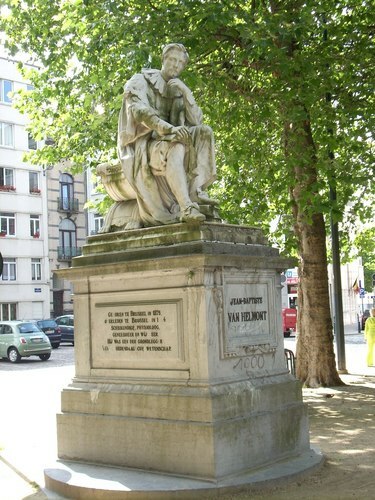 This marble monument of Joan Baptista van Helmont can be seen under the trees of Place du Nouveau Marché aux Grains (Nieuwe Graanmarkt) in Brussels. 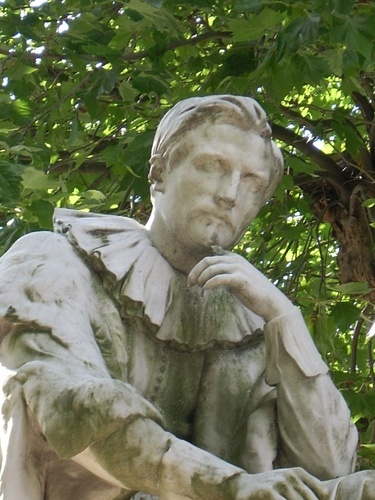 At the bottom of the statue there is an inscription (VAN DER LINDEN) probably indicating the sculptor. 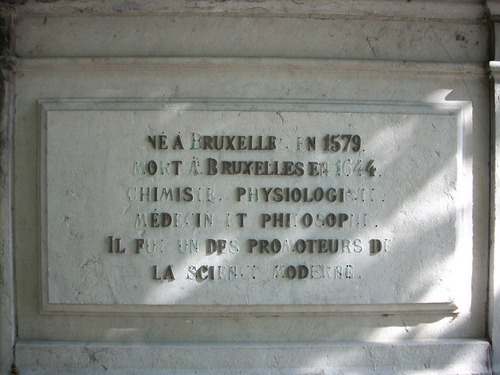 On the front side of the basament there is only the name of the scientist: JEAN-BAPTISTE VAN HELMONT. On the right and the left sides of the basament the same inscription (many bronze letters lacking) in Flemish and French. The Fench text reads as follows: "NE A [B]RUXELLE[S] [E]N 1579. / [M]O[R]T [A] BRUXELLES E[N] 4 / [CH]I[M]IS[TE,] P[H]YSIOLOGI[STE,] / [M]ED[EC]I[NE] [E]T PHI[L]O[S]OP[HE] / IL F[UT] [UN] DE[S] PRO[M]OTEU[RS] D[E] / LA [S]CI[ENCE] [M]OD[ERNE]".